Cervantes, a Soul Calibur series mainstay, was officially revealed to be in the upcoming Soul Calibur VI on Wednesday. Check out his reveal trailer below! 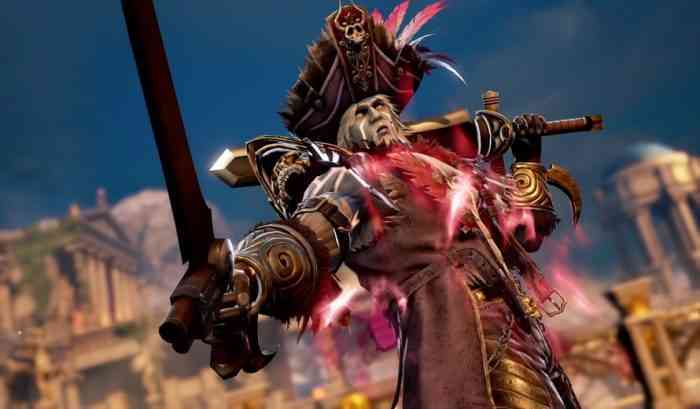 Soul Calibur fans will notice that Cervantes is looking a bit…ghostly? Well, according to Bandai Namco, this is because the fearsome pirate has gone back to being an immortal ghost. What did you think of that reveal trailer? Are you excited about the new Soul Calibur? Let us know your thoughts in the comments section below! Soul Calibur VI is scheduled to come out on October 19th for the PC, PS4, and Xbox One.